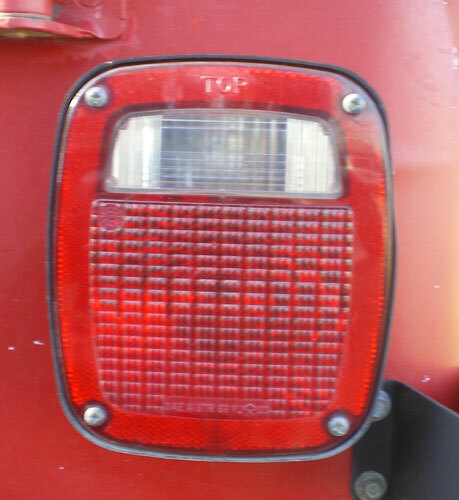 If you have a break light or tail light out, these are easy to fix. The link to the left should have a variety of options to choose the best lights possible for your Jeep Wrangler. LED lights last many years past the regular light bulbs, which makes their cost well worth it in the long run. The first thing you will have to do is remove the protective casing over the light. There are four screws holding it on. Then you just pull out the bad one and push in the new one. Do this gently so it does not break. Some year models have the light bulb that screws in, instead of popping in and out. Check the light bulb before you put the casing back on to make sure it is making a good connection. Then put the cover/case back on and screw it in with the four screws.